Please join us at our Edina location for our first exhibition of the year. 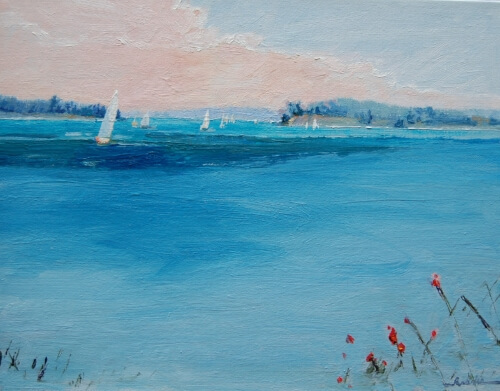 “Sail Away into Spring!” will feature new work by the superb plein air artist, Jessie Rasche. We are thrilled to have her join us for our monthly Wine&Cheese event (3rd Tuesday of every month), and hope you can take advantage of this rare opportunity to meet the talented Jessie Rasche! I’m so excited about this exhibition. Thank you Art Resources Gallery!